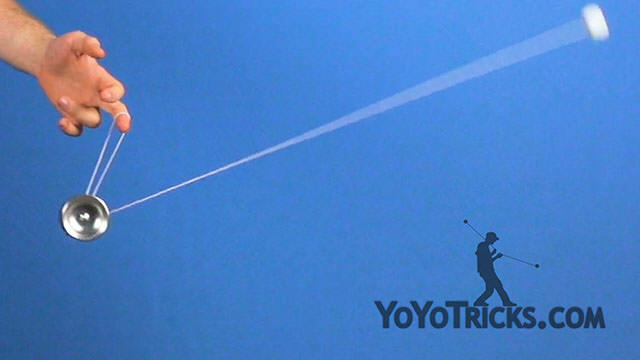 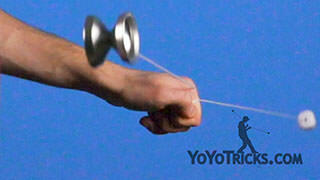 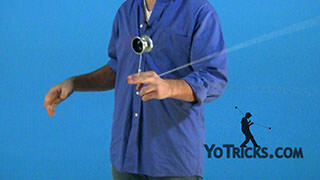 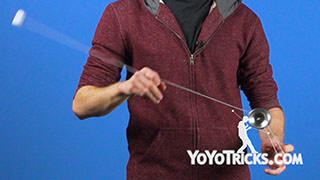 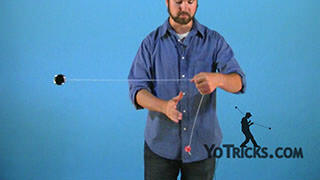 Learn how to do the Reverse Bee Sting freehand yoyo trick. 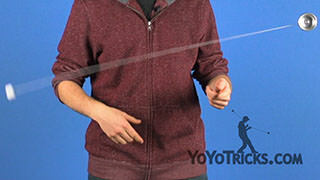 To learn this trick, you need to know how to do regular Bee Sting, so if you have not learned that one, you are definitely going to want to go back and watch our 5A fundamentals series. 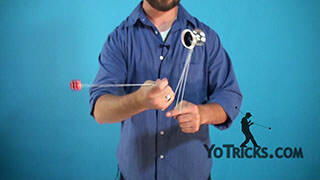 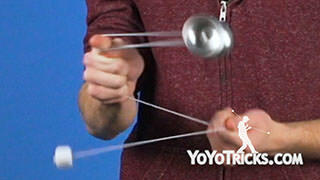 Starting from a trapeze, you want to bring the yoyo nice and close to our opposite hand pointer finger. 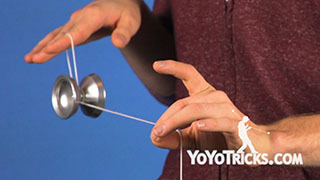 Just like with regular beesting, if the yoyo is too close to the counterweight, is going to make this trick much more difficult to perform. 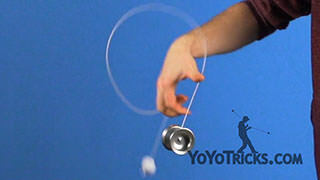 Starting from here, we are going to stick out our middle finger and hop the yoyo over on to our middle finger. 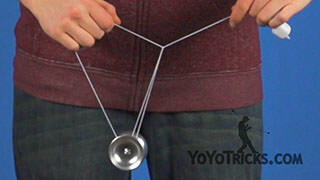 Then we are going to bring the yoyo into an undermount. 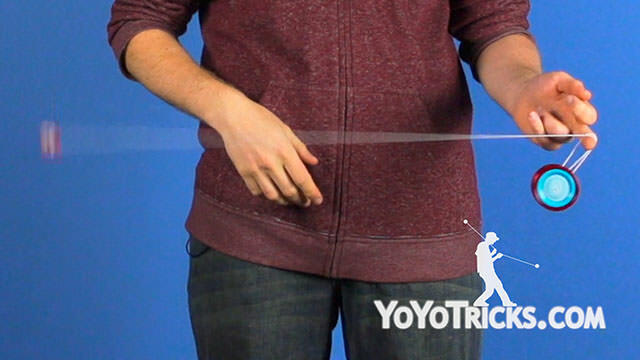 As the yoyo is going into the undermount, we want to loosen our grip on the counterweight in our throwhand and bring our opposite hand out, just a little bit, right when the yoyo touches the bottom of this string. 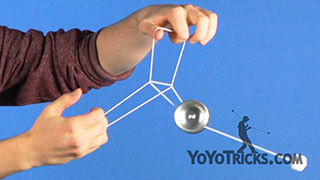 The counterweight is going to leave my hand starting on its arc. As the counterweight is traveling on its arc, eventually it is going to reach this position, where the counterweight string is about fifteen degrees above parallel with the ground. 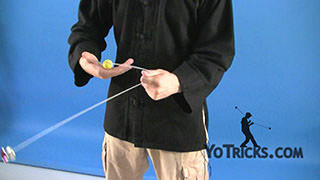 Right when the counterweight reaches this position, we want to take our pointer finger, stick it out, and then make a crescent motion with our opposite hand, pulling our opposite hand back toward our throwhand side. 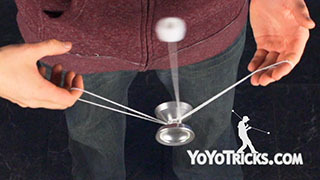 When that happens, the counterweight string is going to come underneath the yoyo, and the yoyo is going to land into a trapeze. 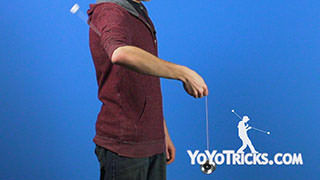 Let’s go over that again. 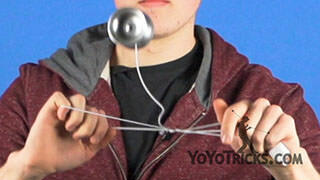 The counterweight is going to start its arc, it is going to come to this position. 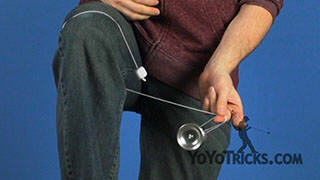 Then, as the counterweight is continuing, I am going to stick out my pointer finger, pop the yoyo over, and catch the counterweight and land the yoyo onto the trapeze at the same time. 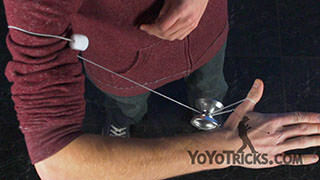 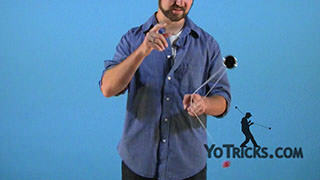 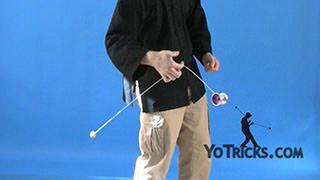 If you want to add the extra revolution of the counterweight at the end of the trick, rather than catching the counterweight in the trapeze, instead we can let the counterweight continue its arc and after it comes over our opposite hand pointer finger, you can just do a pinwheel to the outside with the yoyo, and we can catch the counterweight and land it into a trapeze. 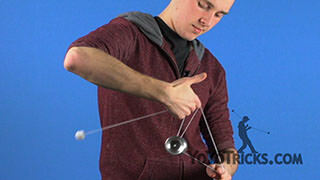 Reverse Bee Sting is a really important trick to learn because this element comes up a lot, especially in advanced 5A tricks, so this is one that you are definitely going to want to master. 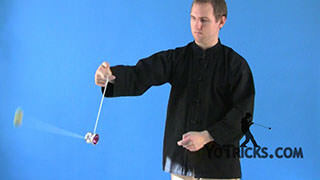 And that is Reverse Bee Sting.